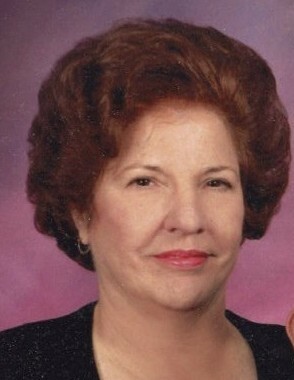 Flora Margaret Howell Norman,78, passed away on Saturday, February 2, 2019, at her residence surrounded by her family. Funeral services will be held at 3:00 P.M., Tuesday, February 5, 2019, at Eastside Baptist Church with Rev. Ronnie Howell and Rev. Keith Norris officiating. Interment will follow at Tift Memorial Gardens. The family will receive friends before the service from 1:30 – 2:30 P.M. at the church before the service. The Deacons of Eastside Baptist Church will serve as pallbearers and The Ruth Sunday School class serve as the honorary pallbearers. Mrs. Norman was born April 10, 1940 to the late Jessie Howell and Flora Bell Lamb Howell. In addition to her parents, she was preceded in death by three sisters and two brothers. She was married to Ronald Joel Norman of Tifton for forty-three years. Mrs. Norman was a member of Eastside Baptist Church of Tifton for forty-three years and retired from Tift County Building and Zoning Office. After she retired from the Building and Zoning office, she worked for Sumner Construction Company for ten years. She had lived in Tift County most of her life. Mrs. Norman was a gentle woman that loved everyone and everyone that knew her loved her. She was a faithful companion to her husband and was a loving and supportive mother. Mrs. Norman graduated from Sumner High School and attended Young Harris College. In addition to her husband, she is survived by two daughters and sons-in-law, Becky and Jonathan Powell of Tifton and Michelle and Mark Menard of Jasper, Georgia; one son and daughter-in-law, John and Leann Norman of Tifton; seven grandchildren. Flowers accepted or donations may be made to Gideon’s, P.O. Box 7051, Tifton, Ga. 31793 or Pregnancy Care Center, 104 W 8th Street #2, Tifton, Ga. 31794.